As an entirely virtual outsourced bookkeeping company, AccountingDepartment.com employees work out of their homes across the country. Which means we don’t have a traditional pizza party where everyone comes to the breakroom for lunch. Instead, our amazing HR team gets together every year to coordinate the delivery of large cheese pies to every single employee in the company. 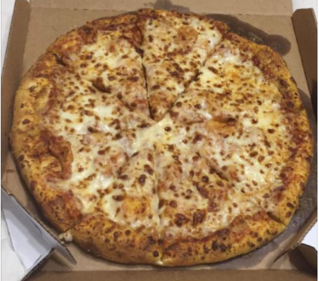 Yes, you read that right—we order a large cheese pie to be delivered to the home of each individual AccountingDepartment.com employee on the first Friday of February, each and every year. You may have heard, we hit our 100-employee milestone in 2017. We’re actually well past that at this point but in short, this year we’re delivering over 100 pizzas to over 100 different places. 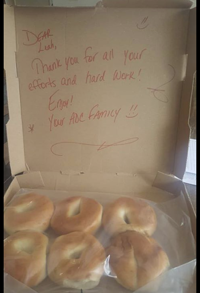 For employees without a local pizza delivery (we employ professionals across the country, some of whom live in very remote areas), we have a back up plan and send delicious, fresh New York bagels direct via overnight FedEx. They come from Prima Pizza and are always a huge hit with our employees. Ordering 100 pizza deliveries is a lot of work. You may be wondering “at what point will there be too many pizzas and you’ll have to change your strategy”. It’s a valid question but it isn’t the right question. The real question is “will there ever be a point in time where the company will be so large that it won’t be worth it to recognize the achievement of getting through January?” and the answer to that question is simple. 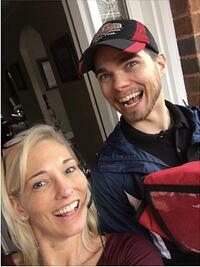 Our employees are the best around and they’re worth all the effort it takes to pull off our annual Pizza Party and more. To all our team across the country, we wish you a very happy end of January, congratulate you on a job well done (as always), and hope you enjoy your pizza! Interested in joining our team? We're hiring! Check out our Careers page for current opportunities and then meet our entire company on our Team page. Honored to be ranked 14th among 2018 Top Company Cultures by Entrepreneur Magazine, Proud Military Spouse Employment Partnership Member, 2018 When Work Works Award Winner.